Describing Bubba Ho-Tep to someone who hasn’t seen it or heard of it can be a tall order. Even the director himself had a difficult time finding financing for it when he was originally shopping it around. Becoming a hit on the festival circuit through word of mouth, and later becoming a cult classic on home video, Bubba Ho-Tep hypothesizes what would have happened if Elvis Presley was still alive and living in a run-down Texas rest home. As the story begins, he discovers that an ancient mummy is stealing the souls of the residents and soon realizes that it’s up to him, and an older black man who believes himself to be JFK, to take care of said mummy before it takes care of them. You’ve really got to hand it to Don Coscarelli. He’s a director that has managed to dig up some fairly off the wall concepts for movies. Bubba Ho-Tep is about as far out of left field as you can imagine, but manages to achieve greatness in spite of itself. Based on a novella by Joe R. Landsdale, the strength of the movie is its lead performance by Bruce Campbell. He’s so good that he gives the movie all the confidence that it needs. There’s an integrity and an authenticity to his acting that a lesser director might not have taken advantage of. Here, you buy it lock, stock, and barrel, even when some of the sillier aspects of the story kick in. This movie is a blend of horror, comedy, and drama, attempting to mix tones. At times, it goes for what some would consider sophomoric humor. However, the story and its twists make you actually care for the characters and overlook things that you may have found questionable in other movies. Bubba Ho-Tep has a lot of depth and heart in addition to its horror elements, so much that you might find yourself getting a little choked up in the movie’s final moments. Even the unorthodox score, which is not much more than laid back, Southern rock, puts the movie in its time and place while cementing its characters’ emotions perfectly. 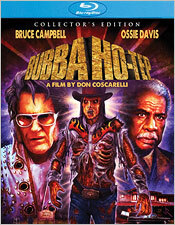 To be truthful, calling Bubba Ho-Tep a horror film doesn’t fully encapsulate what it’s about. Revisiting it here has only reaffirmed what I already knew, which is that Bubba Ho-Tep is a well-crafted movie that’s worth your time. Scream Factory’s new Collector’s Edition Blu-ray release features a clean and organic transfer. Although the movie is as sharp as it’s ever looked, there’s a general softness to it which stems from the original cinematography. Film grain is prevalent throughout without being totally consistent, but fine detail in backgrounds and close-ups is plentiful. Clarity and depth also benefit in high definition, certainly beating out any previous standard definition releases. Colors are strong, popping when needed, particularly during the flashbacks. Black levels are deep, with little to no crush, and both brightness and contrast levels are satisfactory. There’s been no attempt to digitally enhance anything and there’s little to no film defects visible other than some very mild speckling. 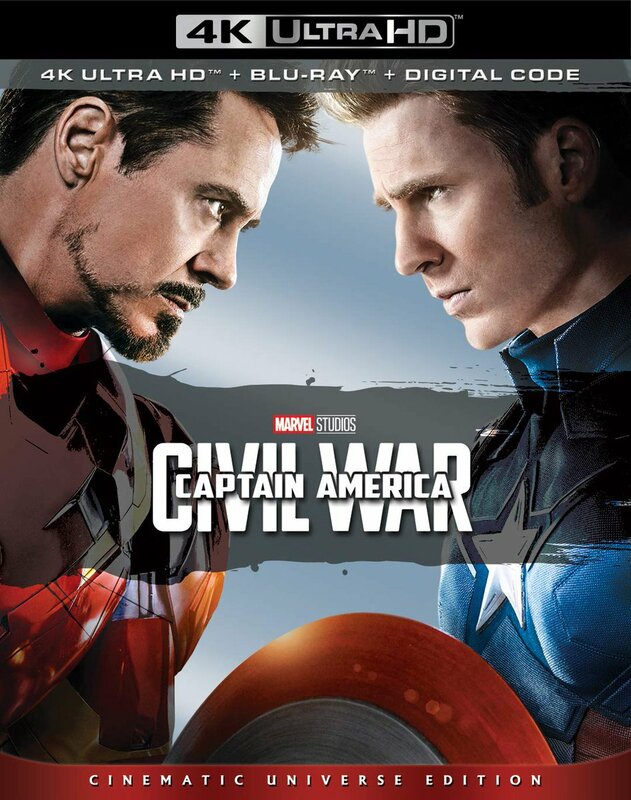 For the audio selection, there are two tracks: English 5.1 and 2.0 DTS-HD. The 5.1 track is of the same quality as the 2.0, but is mostly a front-heavy presentation. The rear speakers are mainly relegated to ambient activity and giving the score some room to breathe. Dialogue on both tracks is clean and clear, while sound effects have some nice punch to them. Low end activity, in particular, really kicks in during certain moments. Both are great options, depending on your preference. Subtitles are available in English SDH for those who might need them. As for the extras, this is another home run for Scream Factory. Those who own the previous U.S. MGM “Hail to the King” Special Edition DVD release can rest-assured that all of that content carries over (minus the swag, obviously). 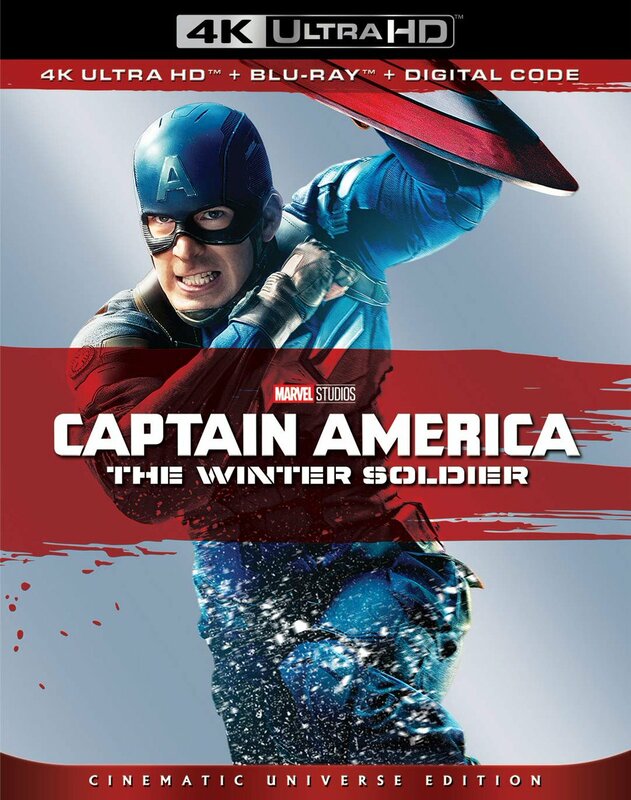 There’s some great new content too, including material from the U.K. DVD release. You get three audio commentaries: a new one with author Joe R. Lansdale, another with director Don Coscarelli and actor Bruce Campbell, and another with Bruce Campbell commenting as Elvis. There’s a trio of new interviews including The King Lives! with Bruce Campbell, All is Well with Don Coscarelli, and Mummies and Make-Up with special effects artist Robert Kurtzman. In addition, there are two deleted scenes with optional audio commentary by Don Coscarelli and Bruce Campbell, a set of outtakes entitled Footage from the Temple Room Floor, four featurettes (The Making of Bubba Ho-Tep, To Make a Mummy, Fit for a King: Designing Bruce Campbell, and Rock Like an Egyptian: The Music of Bubba Ho-Tep), Bubba Ho-Tep Chapter 1: A Novella as Read by Joe R. Lansdale, two Archival Bruce Campbell Interviews (an introduction to the U.K. theatrical screening of the movie and the Bruce on Bubba interview), a music video for the movie’s end credits theme by composer Brian Tyler, a photo gallery, the original theatrical trailer, and a TV spot. The only things that are missing from the U.K. release are The King and I: An Excavation with Don Coscarelli interview and a UK Premiere Q&A. It’s also worth noting that the Bruce on Bubba interview on this disc is significantly longer than the one found on the U.K. release – almost 20 minutes longer to be more precise. I believe Bubba Ho-Tep to be Don Coscarelli’s best movie, even over Phantasm and John Dies at the End, which is saying a lot. The pathos and execution of the material, mixed with the performances and score, is unrivaled compared to his other work. Only someone truly talented could make this kooky concept fly, and Scream Factory’s new Blu-ray release is absolutely the definitive version to own. With a great transfer and an immense amount of extras, that cover just about everything you would want to know, there’s no reason not to own it. Highly recommended.